I HAVE helped put together a website for ConnectMedia North West which offers a chance for people working within the media to meet-up on a semi-regular basis. The site has a number of articles on about starting as a freelance writer, starting a blog and news items about the media in Manchester. Naturally like all good sites ConnectMedia North West gives readers a chance to comment and leave their thoughts about the articles. I HAVE been helping a friend of mine start a blog-style website on something he is keen to write about. 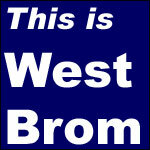 This is West Brom is being created by Anthony O’Hagan and despite having no journalism background he can write and has plenty to say about West Bromwich Albion football club. And that is the key element of the site, Anthony is keen to write about his subject and if he can earn some money from it all the better. If you have a question about setting up a similar site just leave a comment. I HAVE started another website this time covering something I've always got an opinion on. 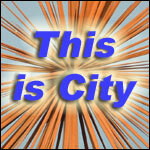 This is City deals with everything Manchester City, from match reports to transfer talk, City gossip to featuring other sites out on the internet. I will keep it tightly focussed on Man City and hope to try out a little technical wizardry that I've rarely seen elsewhere. IF you want to read the latest news items on my site when they are published, then you can in just a few simple steps. 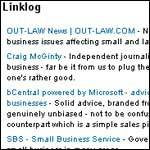 MY site features a fortnightly newsletter that you can sign-up to in just two easy steps. Just pop your email address in the subscription box in the left hand column and press 'Go'. And that's it, then I'll keep you up to date with all that's happening on the site, as well as the world of work, writing and the web through the newsletter. You can be sure that your email address will never be lent, hired out or sold - I dislike spam with a passion! I hope you enjoy what you read and if you do make sure you tell a friend. Please check your email Inbox to confirm receipt of your request. Remember, I will NEVER share, lend or sell your email address. If you want to unsubscribe from the newsletter you can do so by using the link at the bottom of every email I send you. To return to the page you were viewing please click on the 'Back' button of your browser.